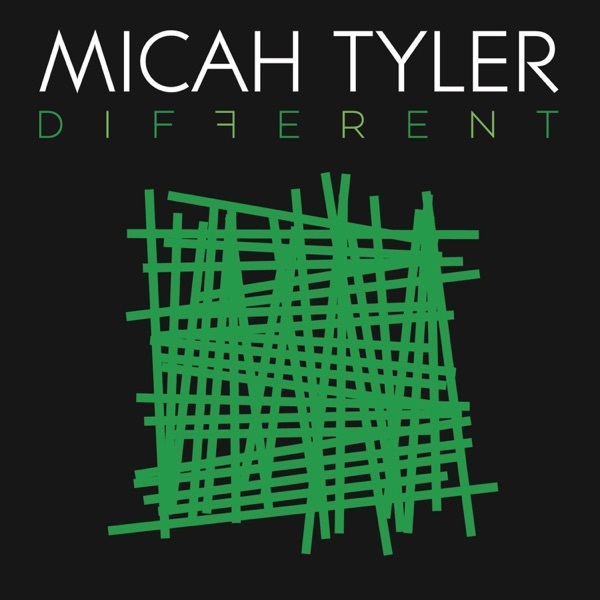 How to cook Artisan BBQ Ribs to Perfection - Right Song. Right Time. You are viewing content from SOS Radio Missoula MT 91.1. Would you like to make this your preferred location? If there is ever a support group for my barbecuing addiction, then I'll be the first to sign up. Oh wait! There already is - the Nevada Barbecue Association! And, I'm already a member. Having only just put the fire out a mere 18 hours ago, I felt an urge to fire up the grill and barbecue some Berkshire pork spare ribs. Here's how it all went down. Say hello to my little Berkshire friend. He’s a little guy, weighing in at a mere 1.5 pounds. He’s fashioned in the St. Louis cut. 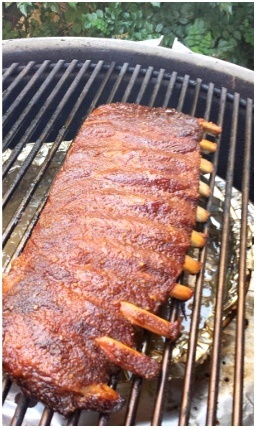 Most commercial ribs cut in this fashion generally range from 2.5-3.5 pounds. 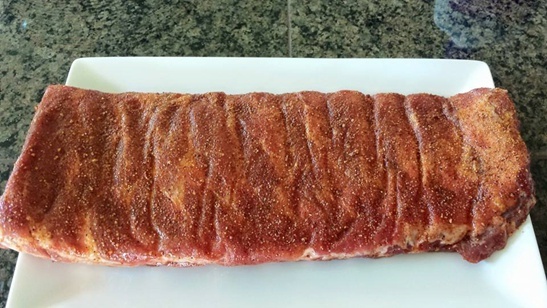 These ribs were trimmed beautifully straight from the processor, which is to say that the membrane on the back had been removed. So, the next thing to do was season it! 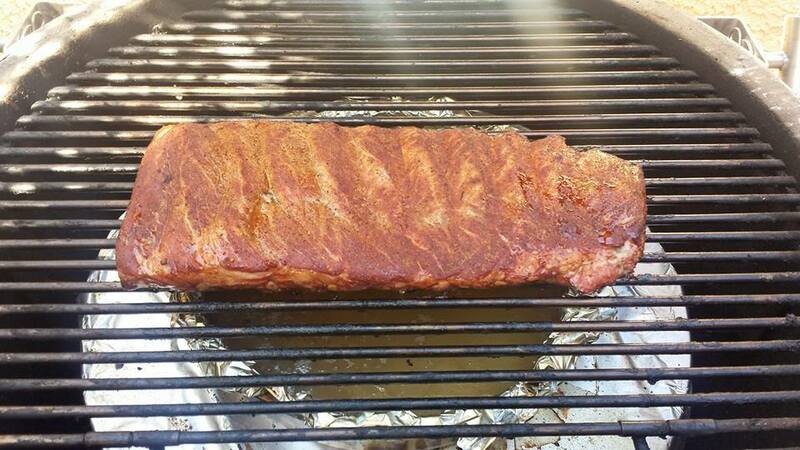 I used a layer of "Peppeureka" and a layer of "Oakridge BBQ- Dominator Sweet Rub". 2 hours in, and they’re ready for wrapping. A mixture of butter, brown sugar and honey was added. To be honest, I didn’t measure it, but I would guess that it was 1/3 cup unsalted butter, 1/3 cup brown sugar, and a couple tablespoons of honey. Then, I mixed it all together in a sauce pan and heated it until it was liquid and well combined. One more dash of "Peppeureka" and they’re ready to be bundled up before returning to the warm comforts of the grill. Man, these were gooooood! 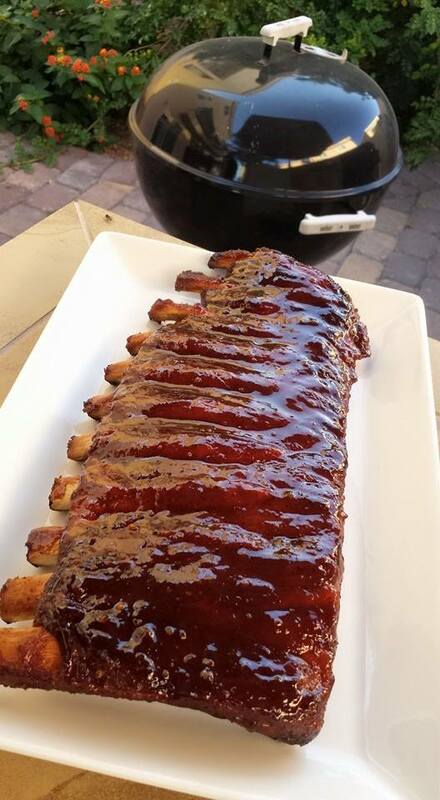 The combination of Dominator Sweet Rub, Peppeureka and bbq glaze really made these ribs succulent. Barbecuing your food doesn’t have to be hard. As you can see, these were prepared in just a few easy steps. Ask your butcher for a “St. 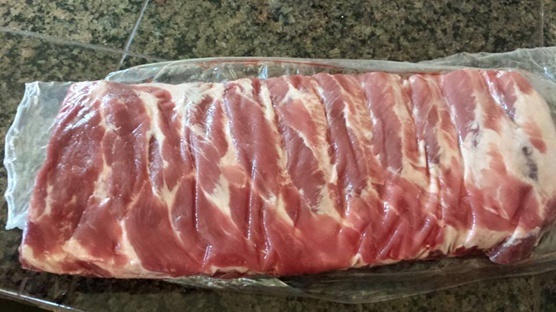 Louis cut” rack of ribs with the membrane removed. This will help you save time and frustration. 1. 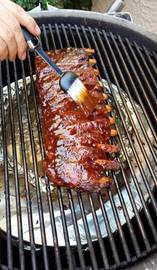 Liberally dust the front and backside of the ribs with Oakridge BBQ Dominator bbq rub and Peppeureka seasoning. These are some of the seasonings I like to use. You may substitute your own favorites. 2. 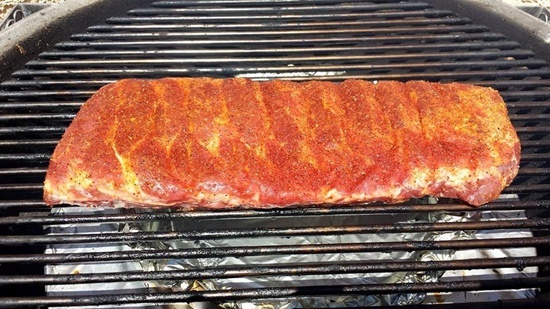 Place the ribs on a 275 degree charcoal grill set up for indirect heating. Add a chunk or two of hickory or apple wood (I like to use Mojobricks®) to the fire and close the lid. 3. 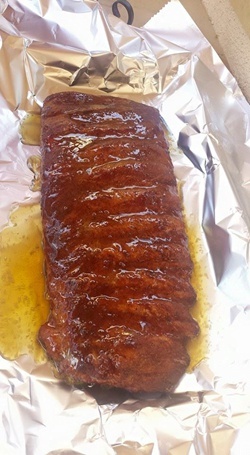 After two hours, place the rack of ribs onto a large piece of foil Pour a mixture of melted butter, brown sugar and honey over the ribs (optional). 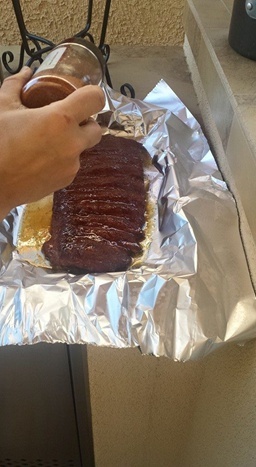 Sprinkle the ribs with a little more seasoning and wrap it up tightly, being careful not to pierce the foil. 4. Place the wrapped ribs onto the grill, close the lid and let them cook an additional 1.5 hours or so before checking for doneness. When you open the foil the meat should have pulled back from the bones a little and tear slightly in the center when lifted up with tongs.